ARRI have some new pro accessories for the ALEXA Mini they demoed at NAB 2016, such as the ARRI Broadcast Plate for ALEXA Mini, an adjustable base plate designed for documentary-style filming. This entry was posted in NAB, Accessories, Cameras, News and tagged ARRI NAB 2016, Alexa MINI PCA, NAB 2016, ARRI Alexa MINI, ARRI on 24th May 2016 by Visuals. For those of you who missed NAB 2016, Panasonic has done a nice round-up video of their offerings at the show, and we also have some new Varicam LT test footage by Steven Bailey. This entry was posted in NAB, Cameras, News and tagged Varicam LT Test Footage, NAB 2016, Panasonic Varicam LT, Varicam LT, Panasonic on 23rd May 2016 by Visuals. 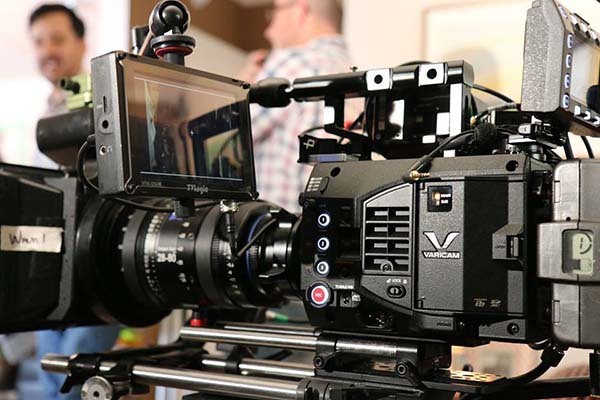 At NAB 2016, esteemed pro accessories manufacturer Vocas showed off their latest accessories for the Sony FS5, the new Spider System for shoulder support, and their new revolutionary sliding system, which allows users to use a camera with multiple base-plates. 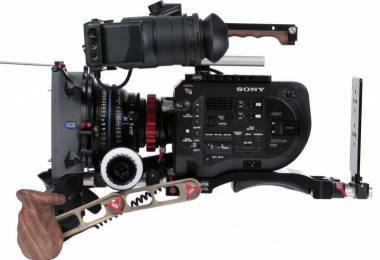 This entry was posted in NAB, Accessories, Cameras, News and tagged Vocas Sliding System, Vocas Spider System, NAB 2016, Sony FS5, Vocas, Accessories on 5th May 2016 by Visuals. At NAB 2016 in Las Vegas, Sennheiser announced a brand new affordable compact shotgun stereo microphone for DSLR and videographers - the MKE 440. The compact unit features a unique twin shotgun microphones mounted in a “V-Stereo” configuration for a more directional pick-up pattern, while still capturing an immersive stereo experience. This entry was posted in NAB, Accessories, Audio, News and tagged Microphones, Stereo Shotgun Microphone, Sennheiser MKE 440, NAB 2016, Audio, Sennheiser on 3rd May 2016 by Visuals.